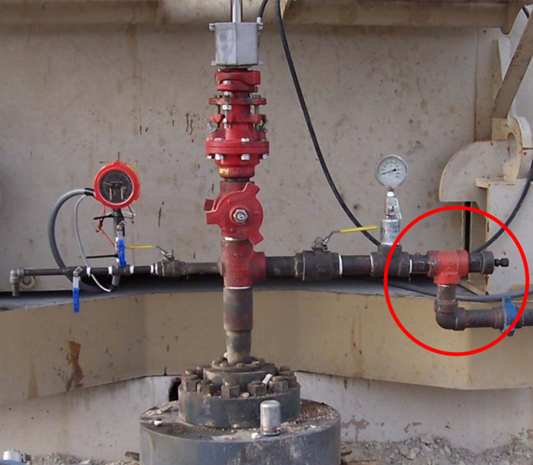 Gas expansion in the tubing as oil from the reservoir travels towards the surface (due to gas pressure decrease). Formation of a gas “plunger” that can push the liquid above it out of the tubing and into the flow line at high speed. As the gas forces the liquids out of the tubing, the pressure in the tubing decreases rapidly and the gas expands even more. This heading behavior of reservoir fluids causes cycles of high production followed by low or no production. When heading process starts, the expanding gas pushes the liquid into the flowlines and increases production for a short time. In the meantime, the liquid leaving the tubing is replaced by more and more free gas. Eventually, the tubing is blown dry and production stops until the tubing fills with liquid again.